On April 8, the Ontario government passed Bill 122, School Boards Collective Bargaining Act, 2014. This new law focuses on a formalized bargaining model for Ontario’s education sector. As you know, following the 2012 bargaining process the government committed to introducing legislation that would enshrine a new bargaining framework for the education sector. Bill 122 reflects recommendations from key education stakeholders including specific recommendations put forward by OCSTA both during the consultation process and more recently during Standing Committee hearings held prior to the passage of this legislation. OCSTA staff will be attending a technical briefing April 15 and 16. Please note that there are ten regulations to enable the implementation of Bill 122. These regulations are currently under development and will have an impact on various aspects of the Bill. Steering Committee on Collective Bargaining: On February 6, 2014, OCSTA Board of Directors approved a motion to establish a three-person Steering Committee on Collective Bargaining. As communicated in an earlier memo, I have asked Kathy Burtnik (OCSTA Vice-President), Patrick Daly (OCSTA Regional Director – Region 11) and Beverly Eckensweiler (OCSTA Regional Director – Region 4) to serve on that committee. Next Steps: More information will be shared with OCSTA members on this important development following next week’s technical briefing and a meeting of the Steering Committee. 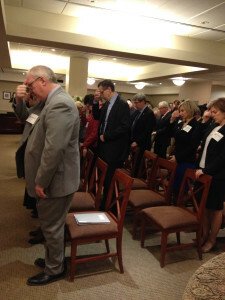 On April 2, Trustees representing Catholic school boards across the province joined with bishops from the Assembly of Catholic Bishops of Ontario and teachers from the Ontario English Catholic Teachers’ Association to to meet with Ontario’s MPP’s to discuss Catholic education and its role in the vibrancy and success of Ontario’s school system. Click here to read more. Meet Your Fellow Trustees in Niagara Falls – April 24-26! OCSTA’s Annual General Meeting & Conference will take place April 24-26, 2014 at the Hilton Hotel and Suites in Niagara Falls. If you haven’t registered yet please register online now. **New this year** – the OCSTA Event App. The OCSTA Event App will provide delegates with direct, “real-time” access to the program and other details like the attendee list DIRECTLY from your computer or mobile device. To access this tool immediately please click here. This is our largest event of the year offering professional and faith development opportunities for Catholic trustees. 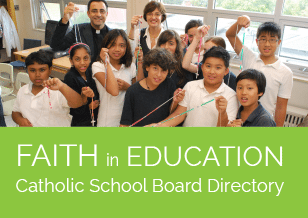 The theme for the 2014 Conference is “Catholic Education in a Digital World” and the program planned will examine the influence of technology and our digital culture on the delivery and mission of Catholic education. 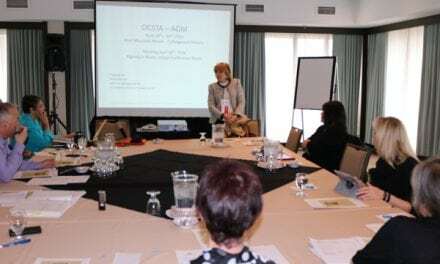 The three-day conference offers a variety of sessions for discussion and education to support trustees in their roles as advocates, stewards and guardians of Catholic education. 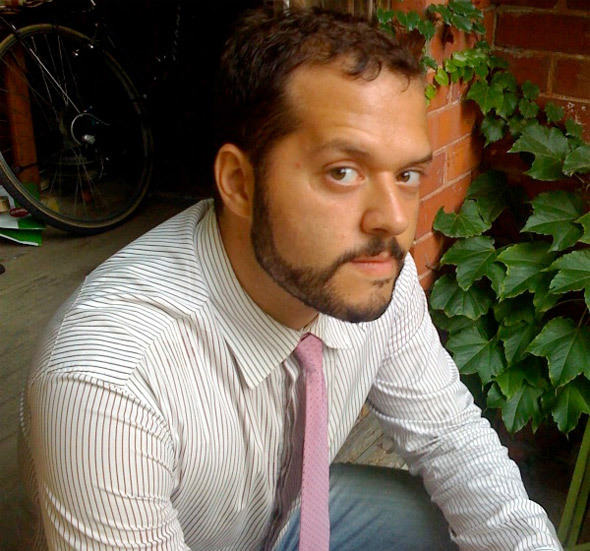 “Digital Literacy and e-Learning,” presented by Jesse Brown, Digital Media Expert, Broadcast Journalist and Co-Founder of popular education and social media website Bitstrips.com. 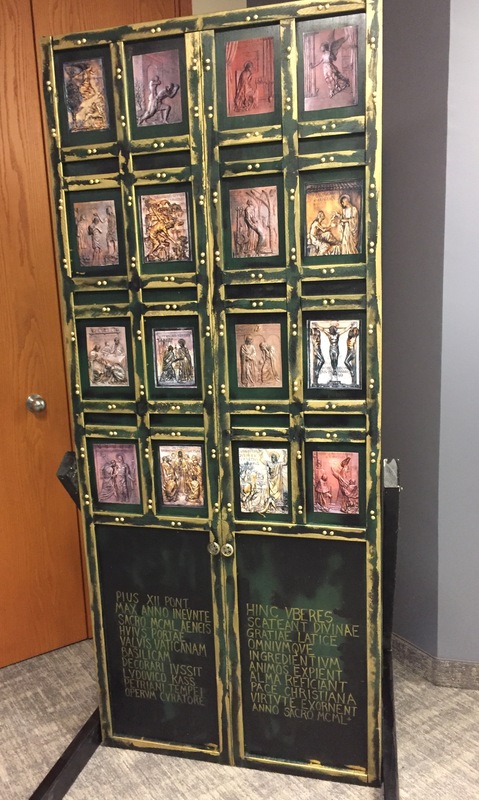 “Catholic Education in a Digital World,” presented by Professor Angela Ann Zukowski, MHSH, D.Min, Director of the Institute for Pastoral Initiatives, University of Dayton. Student Trustee Workshop: This facilitated session will explore options for collaboration between OCSTA and the Catholic Board Council of the Ontario Student Trustees’ Association for the purposes of enhancing the learning and networking opportunities available for all student trustees. ALL CDSB’s are encouraged to register their Student Trustees for this event. “How Catholic School Boards are Using Technology to enhance Education” – CDSB Panel: Rick Brassard, Chair, Northeastern CDSB; Lori Di Marco, Superintendent of Learning, Student Achievement and Well-Being, Toronto CDSB and; Catherine Montreuil, Director of Education, Bruce-Grey CDSB. Labour Relations Workshop – Facilitated by OCSTA Co-ordinator, Labour Relations, Mike McPhee. “Aboriginal Education – Best Practices from Sudbury Catholic,” presented by Dawn-Marie Wemigwans, Principal with the Sudbury CDSB. “Sharing Facilities” – presented by Trustee, Bernard Murrary, Huron-Perth CDSB and a representative from the Brant Haldimand Norfolk CDSB. The Niagara Catholic District School Board is our host board for this year’s OCSTA AGM and Conference. 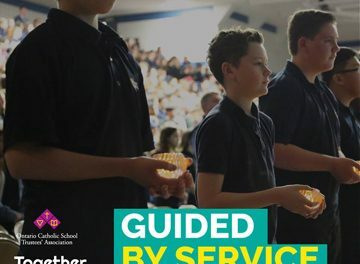 The trustees, staff and students there have a lot to celebrate and share with the province and invite all to view this current Catholic education highlight.